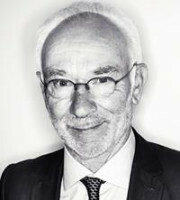 Thierry Van Innis is the co-founder of Van Innis & Delarue. Mr Van Innis has litigated more high-profile trademark cases before the European Court of Justice and the Benelux Court of Justice than any other IP lawyer. His work has led to dozens of precedents and landmark decisions. Mr Van Innis continues to be the go-to lawyer for some of the biggest names in today’s world of fashion. Chambers & Partners, the WTR 1000, the Legal 500, IP Stars and the clients they quote have described Mr Van Innis as “an institution”, “the pope of trademark law in Belgium” and “a mastermind in European trademark law” who “wins praise for his brilliant mind and incredible intellect” and is “famed for his aggressive, ‘street-fighter’ litigation style, which is reinforced by deep knowledge of jurisprudence and case law”. In 2006 Mr Van Innis became the only Belgian lawyer ever to win a Lifetime Achievement Award at the World Leaders European IP Awards.